IRVINE, Calif. /California Newswire/ — The U.S. Department of Energy Solar Decathlon 2013 is moving forward as planned October 3-6 and October 10-13 at the Orange County Great Park in Irvine, Calif. The Federal Government shutdown will have no impact on the visitor experience or the collegiate teams at Solar Decathlon 2013. The XPO clean energy exposition hosted alongside Solar Decathlon 2013 will also move forward as planned. The free public event will be open to the public 11 a.m. to 7 p.m. each day. The XPO is a clean, renewable and efficient energy exposition, featuring visionary and innovative companies, products and educational opportunities that will be hosted alongside the U.S. Department of Energy Solar Decathlon 2013. 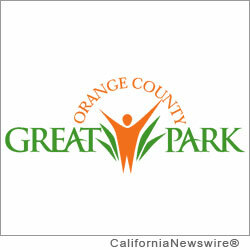 The XPO will run concurrently with the Solar Decathlon 2013 from October 3-6 and October 10-13 at the Orange County Great Park. Through fun, interactive exhibits and activities, the XPO will provide visitors with information about the broad spectrum of energy efficiency in home design, transportation, consumer products, food production and education. Visitors will experience a 21st century festival of creativity, technology, design and educational experiences that will inspire children and adults alike. Visit The-XPO.org for more information.